A good score means a good lifestyle for you. The major credit bureaus generally calculate your credit score based on the FICO credit-scoring model in order to determine your credit standing. A good score means a good lifestyle for you. 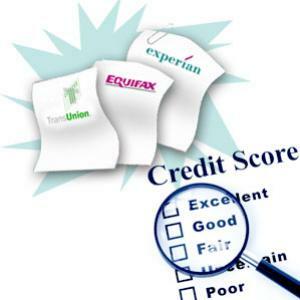 However, there are certain things which the credit bureaus will not tell you but the information may be helpful for you to maintain a good score. A good credit score may help you get a good job - Not only you'll be able to take out a loan with a suitable interest rate, but a good credit score may help you get a good job offer, which you've been dreaming of. Yes, that's true. Several organizations pull up credit reports of the job applicants to decide whether or not to offer the job. This is because there's a general idea that a person who cannot manage his/her credit well, is usually very poor in decision making and has poor work habits, which can affect the growth and reputation of an organization. The bureaus make money by selling your credit secrets - When you ask for a loan, the lenders/creditors check your credit report information to determine whether or not you're creditworthy. So, how do they check your credit related information? Actually, the credit bureaus sell such information to the lenders, and it is one of the prime revenue earning sources for the entire credit bureau industry. There can be errors in reports until you dispute them - You must be knowing the fact that negative items on our credit reports can lower down your credit score to a great extent. However, the negative items may be present on your reports without any fault of yours. You might have been a victim of identity theft or it has been mistakenly reported. So, you must check your credit reports at regular intervals so that you can dispute any incorrect negative information on them. It is difficult to make out whether or not a person is genuine - It is not possible for a credit bureau to determine whether or not a person is a victim of identity theft. It may happen a person has stolen your personal information and has applied for a loan, and the loan gets approved; the loan amount will be added in your credit history without your notification. So, in order to prevent this, it is your responsibility to place a fraud alert when you come to know that you've become a victim of identity theft. You should also file a police report along with sending a letter to the lender as well as to the bureaus so as to remove the information from the reports. It will cost you if you bypass a bureau regarding a dispute - Based on the FCRA (Fair Credit Reporting Act), a consumer has every right to file a case if a credit bureau wrongly dismisses a dispute. However, if you bypass the bureau and contact the lender directly regarding a dispute, and the lender doesn't agree that it's an error, then you, the consumer, will have no right to file a case. You can get hold of your credit scores once a year absolutely free of cost. So, check your scores so that you're well aware and you can take necessary steps to improve it if required. Doing so, you can enjoy the benefits of having a good credit score and in turn, have a good financial life.